A NEW CHARITY has been set up to fund services providing research, education and counselling related to gambling addiction in Ireland. The Gambling Awareness Trust receives funding from several sources, including the gambling industry. This is similar to the set-up of Drinkaware, which receives contributions from both the alcohol and grocery retail industries. The trust will be overseen by an independent board of directors chaired by Tom Hayes, former minister of state for agriculture. The other members of the board are Kathleen Lynch, former minister of state for primary care, mental health and disability, John Forde, a retired garda superintendent,Willie Collins, former CEO of Aiseiri addiction services and retired district court judge Gillian Hussey. It will have access to a fund of over €1 million a year and it will shortly invite proposals from service providers in the fields of research, education and counselling. Hayes said it is hoped that in time other commercial organisations who benefit from gambling will also contribute. 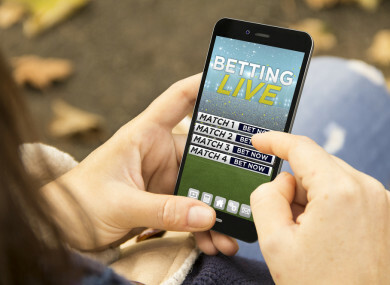 A government bill published in 2013 proposed the creation of a social fund, financially resourced by gambling licence holders to promote socially responsible gambling and counter-act the ill-effects of irresponsible gambling. “While we are waiting for the government’s Gambling Control Bill to be enacted, today’s announcement is a recognition that action in this area is needed now and should not wait for the political system. The charity is an independent body and expects financial contributions from across the gambling industry,” Hayes said. The trust has already decided that there is a need for comprehensive authoritative research on existing research resources, education and services relating to problem gambling in Ireland. It has commissioned a programme of research which will inform the board of the gaps in current national research, effective approaches in addressing problem gambling in the community and evidence- based approaches to treatment of problem gambling. “We are confident that this report will give considerable insight into the areas where the board should focus its attention,” he added. Email “'Action is needed now': New charity set up to fund gambling addiction services”. Feedback on “'Action is needed now': New charity set up to fund gambling addiction services”.